There are a host of reasons for visiting Tenerife – the largest of the Canaries, which the classicists rightly called ‘the Fortunate Isles’. Fortunate, too, in having such a wonderful winter and spring climate for visitors from the freezing north! 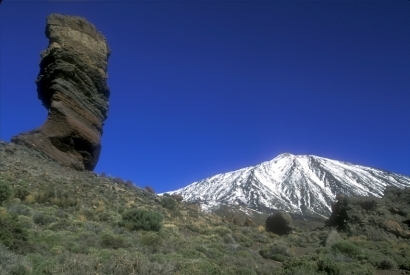 An island of contrasts – miles of sun-drenched coastline surround Spain’s highest mountain, Mount Teide. 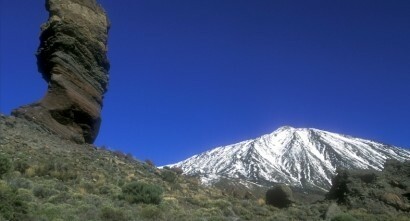 Accessible by cable car and often snow-capped, the desolate volcanic slopes of Teide are a world away from the tropical vegetation of the banana plantations and the botanic gardens below. You stay in the north part of the island where the traditional villages, the UNESCO-listed university town of La Laguna and historic Puerto de la Cruz are totally different in feel to the commercialised resorts of the south. Day One: Flight to Tenerife Sur Reina Sofia Airport. Transfer to your hotel in Santa Ursula (about one hour away) for seven nights half board accommodation. Days Two to Seven: In resort with three included walking excursions in different parts of the island. Walk 2: Anaga. Your second excursion is to the north east of the island, for a walk in the Rural Park of Anaga, situated in the north east of the island, an area of volcanic cliffs and Laurisilva forests rich in wildlife. Total distance 4.4 miles with climbs of approx 300m. Walk 3: Teno. The final included excursion is a full day trip to the extreme north west of the island, where the Teno area lies, by-passed by the traffic and seemingly by time itself. You walk in the hills above Garachico, whose harbour was filled in by a lava flow in the 18th century. This is a full day excursion, with 3-4 hours walking and time for other exploring, too. Total distance 5 miles with climbs of approx 350m.